Upper Airway Resistance Syndrome or UARS is a sleep disorder characterized by airway resistance to breathing during sleep. 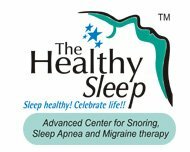 Sleep apnea is a life threatening sleep disorder wherein the breathing or airflow becomes very shallow or is briefly interrupted during sleep. Sleep - What & Why ?